Co-operative Congress 2013 opens in Cardiff next week. One of the main themes that will be debated at the event is co-operative housing. The Wales Co-operative Centre is hosting a seminar on this topical issue, on Saturday 29th June. To give you a flavour of what to expect, we’ve spoken to Dave Palmer who manages the Co-operative Housing Project, here at the Centre. Dave, in brief, how can co-operative housing projects help to increase the supply of affordable housing in Wales? Developing and promoting new ways of providing land and funding for housing, such as community land trusts, mutual home ownership and co-operatives, sits alongside Welsh Government commitments to release public land for affordable housing, to help people find homes to suit their circumstances, to introduce flexible tenure arrangements, and to support social housing tenants to participate in the running of their homes and services. Co-operatives could make a significant contribution to new, affordable, housing options that can help people’s needs at different stages of their lives, by consideration of establishing a new tenure relationship that has “commonality of interest at its heart”, heralding a desire to consider a co-operative housing tenure. Is this something that could prove particularly beneficial to first time buyers? There is strong evidence that there is an appetite for an increased supply of co-operative housing in Wales based on the responses of research participants, who responded overwhelmingly positively to the principles and housing models demonstrated. This is particularly the case for households who are currently priced out of the owner-occupied sector and whose needs are not so great that they are unable to, or choose not to access social housing. 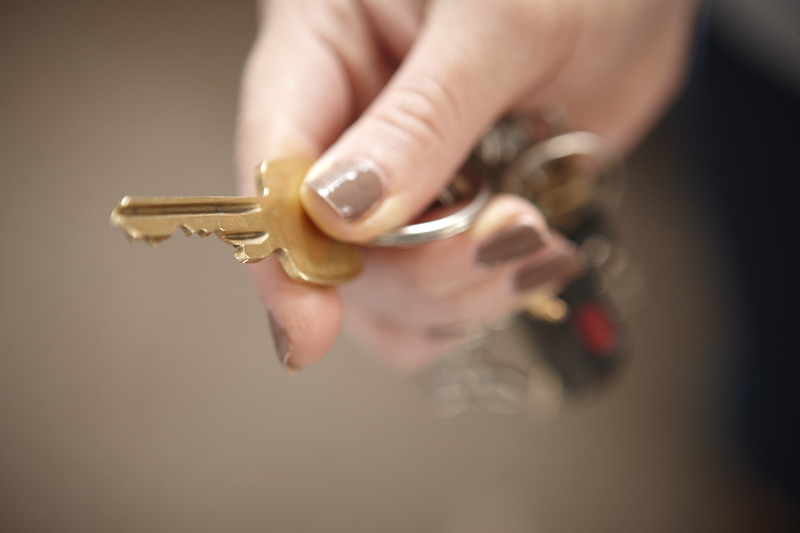 They may also find themselves somewhat reluctantly living in the Private Rented Sector (PRS). Therefore, the major area for agencies to focus on if co-operative housing is to meet housing needs, are these reluctant renters who want more security. The research also showed that there exists demand for co-housing with no public subsidy required, but practical support assist in the development of schemes, which, when developed, will in turn free up properties for first time buyers. The concept of co-operative housing is relatively new in Wales, so are there any success stories from other parts of the UK that show how it’s already working? From the 1970s onwards, a number of small housing co-ops (often single shared houses) have been established using exclusively private sector funding such as ethical bank loans and “loanstock” arrangements. Some of these are located in Wales, including the Golem housing co-operative in Swansea and Dol Llys Hall in Powys. There has been a significant growth of Community Land Trusts (CLT), co-operative housing organisations based on local community memberships who own and steward land and other assets for community use. CLT membership will usually be open to people living in the homes built, but it will also be available to a wider community membership. CLT examples include Lyvennet Community Trust in Cumbria, High Bickington Community Property Trust in North Devon, and East London CLT in London, to name a few of the 130 CLTs across the country. West Rhyl Community Land Trust, supported by Denbighshire County Council, is the first example of a CLT in Wales. Currently the only example of a Mutual Home Ownership society is the recently developed Lilac scheme in Leeds. Also describing themselves as a “cohousing” scheme in that they are an intentional community with a communal house, Lilac’s members will each pay about 35% of their income for a lease of their homes, to cover the costs of Lilac’s group mortgage, management and maintenance costs and to buy equity in the project. Lilac received funding and other support from the English Homes & Communities Agency, the Department of Energy & Climate Change and Leeds City Council, and has secured loan funding from ethical banks. Cohousing organisations, based on American and Danish models, enable people to buy and sell homes in “intentional” communities built around communal facilities, in some cases, alongside other members who rent their homes, such as at the Threshold Centre in Dorset. This approach, particularly popular for elderly people, but potentially relevant for all ages, has been adopted in 15 communities in the UK, with a further 40 currently exploring cohousing options. The UK housing construction industry has been hit hard by the recession and other economic challenges of recent years. How much of a role can co-operative housing schemes play in boosting the industry? Co-operative housing is a successful and attractive model of renting that can deliver what people want. Co-operative forms of home ownership could provide collective protection for an intermediate market from individual risk and market fluctuations, whilst capturing investment gains collectively. At a time when extreme housing market vagaries have left many housing consumers insecure and unsure about the future, co-operative housing might be an alternative attractive option, not just to state provision of housing, but also to market provision. Therefore, it could boost not only the smaller local builder, larger developer and the self-build elements across the whole of the industry, and address some of the training issues, as well as providing affordable, high quality homes and local communities. The Wales Co-operative Centre and its partners are already working on potential co-operative housing developments. 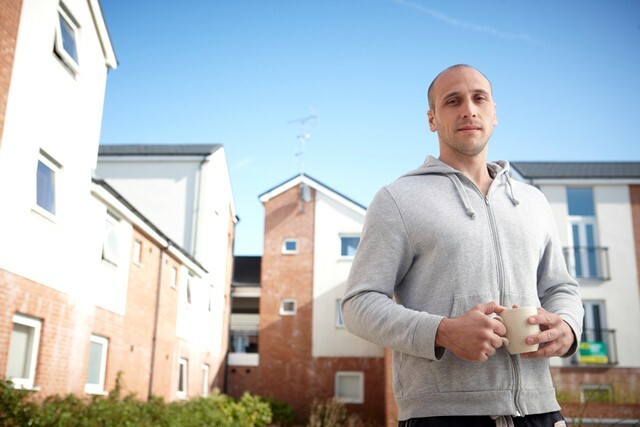 How far are we from the first co-operative housing tenants moving in, in Wales? It is early days, but the pioneer projects that we are working on, are ready to deliver a range of rented, limited equity and market co-operative homes. The Wales Co-operative Centre and Welsh Government are keen to continue supporting and encouraging this positive start, by empowering the pioneers to deliver much needed homes. The aim of the project is to have two ’Shovel Ready’ schemes, i.e. with Planning and Building Regs, ready to start on site by March 2014. We are ahead of this timescale with some partners. What are the main things that need to happen between now and then? It is vital that housing organisations, facilitating the development of a co-operative housing scheme invest time in a local awareness raising campaign. This will help to maximise consumer interest in membership and provide the opportunity to participate in a scheme, to as wide a population as possible. Any promotional campaign run at a local level, by a housing organisation should consider very carefully how it ensures that it is effective in contacting harder-to-reach and minority groups, to ensure that co-operative housing schemes are inclusive. That the Welsh Government and the housing sector consider what sort of mechanisms they could put in place to provide advice, support and assistance to co-housing groups in Wales, to assist them to move proposed developments forward. This support should not provide any form of subsidy for such groups, however the setting up of a national bridging loan mechanism, could be considered to help facilitate the developments, particularly for those who are ‘equity rich and cash poor’. That the Welsh Government considers how it continues to support groups of co-operators and housing organisations, to continue to access expert financial and modelling advice beyond the conclusion of the Co-operative Housing Project based at the Wales Co-operative Centre. To book a place on the Co-operative Housing seminar, at Co-operative Congress, please visit the official event website. The Seren Group, which includes Charter Housing, is considering developing co-operative housing on part of the old Pirelli Factory site, just off Corporation Road in Maindee. Before the group moves forward with this idea, it needs to find out whether Newport residents would be interested in living in co-operative housing. Seren is working with the Wales Co-operative Centre and the Chartered Institute of Housing to identify whether there is any demand for this form of housing in the City. Co-operative housing is a form of housing where members (either tenants or owners) democratically control and manage their homes and play an active role in the life of the communities they live in. Co-operative housing is very common in other parts of Europe. There are a number of different types of co-operative housing, either for rent or for sale but they have one fundamental thing in common: they put democracy and community ownership at the heart of housing. What is the plan for co-operative housing in Newport? Seren’s plan for the old Pirelli site is to create a community of around 200 homes which will be a mix of homes for rent and to buy. The vision is of an ‘urban village’; bringing the community benefits of village life to the heart of the City. Seren would like to include an area of co-operative housing in this development, if there are enough people interested. Why are we reaching out to you and what should you do next? We are trying to find out whether you are interested in knowing more about the development of the Pirelli site and whether you are interested in being a part of the co-operative Seren wants to support on the site. You’ll be asked to answer a few questions about yourself, your family, your current housing situation and to provide your contact details. We will then write to you with more information about co-operative housing and an invitation to attend an event to tell you more about Seren’s plan and the types of co-operative housing that may be possible. If you have any questions about this matter, please contact Dave Palmer from the Wales Co-operative Centre on 029 2055 6169.